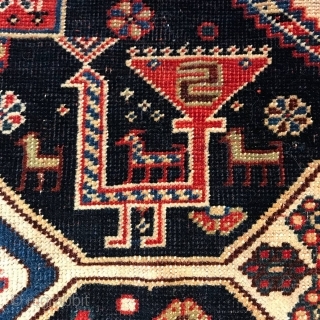 Qashqai rug, very fine weave, untouched original condition, Mid 19th century. 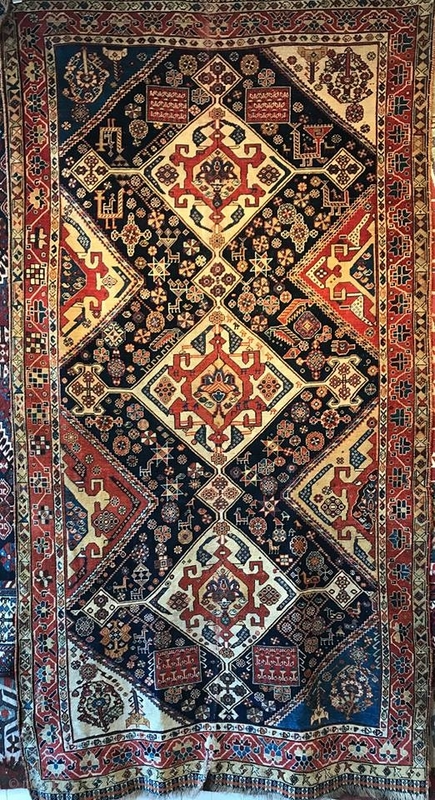 This rug was exhibited in the 1978 exhibition 'Patterns of Persia' at the Vancouver Museum. www.knightsantiques.co.uk size: 222 x 120cm.